Winter Moods and Ivan Grech were the big winners at the Malta Music Awards. Winter Moods emerged with the biggest trophy haul at the 15th edition of the Go Malta Music Awards last night. The show was held at the Malta Fairs and Conventions Centre at Ta Qali, with nearly 5,000 people attending. Winter Moods won the awards for the Best Group, Best Album and Best Song. Group front man Ivan Grech also won the award for the Best Composer. Aaron Benjamin carried the Best Male Artiste Award while Kristina Casolani won the Best Female Artiste. Mikaela won the trophy for the best emerging artiste. 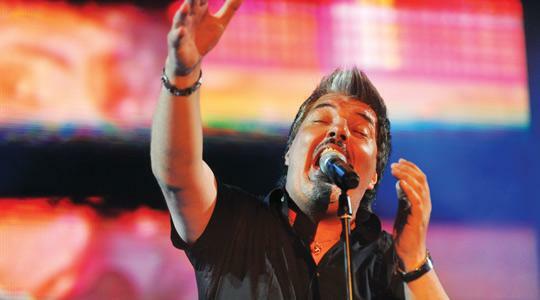 UK-based Maltese singer John Lukas won a Lifetime Achievement Award. The Legends Award went to The Rifffs. Voices Choir won an award for the outstanding artiste of the decade. Last night’s show included a performance by Anthony Costa, a member of the ex-boy band Blue, who performed All rise and One Love. Lenny Zakatek, of Alan Parsons Project fame, performed the recently-issued Games people play.